James Richardson’s grandmother, Dinah Richardson, could remember gathering and boiling sap with her father Harvey Rittenhouse when she was a young girl in the early 1900’s. In 1983, James tapped 6 trees around his parents farm yard and boiled it in a cast iron kettle. We made 16 litres that year. In 1985, James and his cousin, Jason Richardson, built a “shanty” in the bush using scrap lumber and an old barn door. We cut the side off a 45 gallon drum, put a 24″ square pan on top and boiled our sap. Thus the tradition of 5 generations of syrup making continued with the rebirth of Richardson’s Sugar Bush. We have boiled sap in 3 other locations since then. In 2009 we opened our new facility at 131 River Road, Dunnville, Ontario, on the east side of Haldimand County. Be part of the “Sugaring Off” Adventure! Take a drive along the scenic Grand River Parkway from Hamilton or head into Dunnville along Hwy 3 from the heart of the Niagara Region. 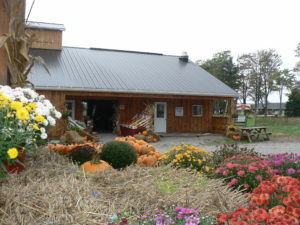 Come on out to the farm with family and friends and watch the sap being boiled. You can take a wagon ride and enjoy some piping hot pancakes, sausage and real maple syrup served with juice, hot chocolate, tea or coffee. 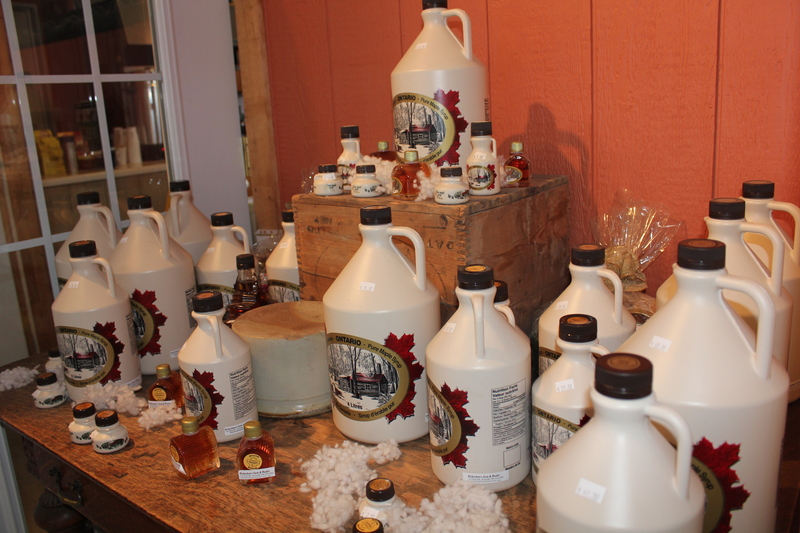 Be sure to browse our market and take some maple syrup and other tempting treats home with you.